Map It! Okinawa: "Car Blessing at Naritasan Fukusenji Temple"
"Car Blessing at Naritasan Fukusenji Temple"
Experiencing a local custom is one way to immerse yourself into Japanese culture. 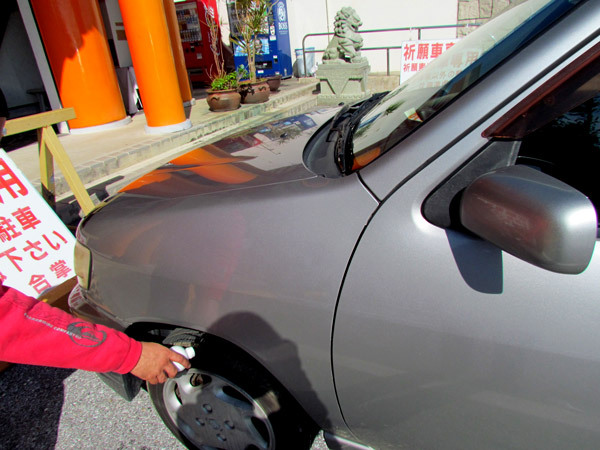 One such way is to have your car blessed at the Naritasan Fukusenji Buddhist Temple, or commonly referred to as Narita-san (Narita Mountain). The Main Hall is an impressive structure that can be vividly spotted as you cruise along Highway 146 in Nakagusuku Village. 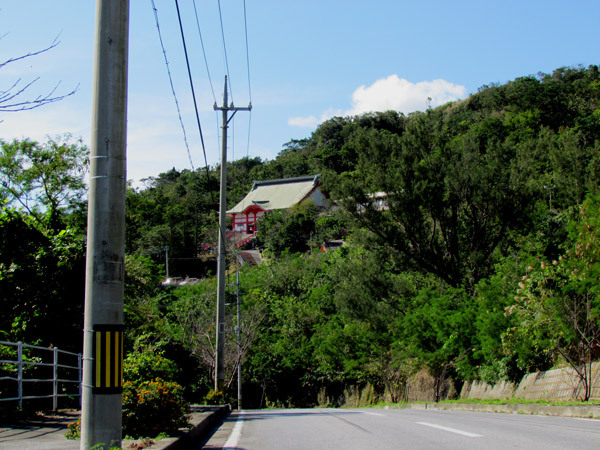 It sits along a mountain side not too far away from Nakagusuku Castle. There are two main buildings on the temple grounds. 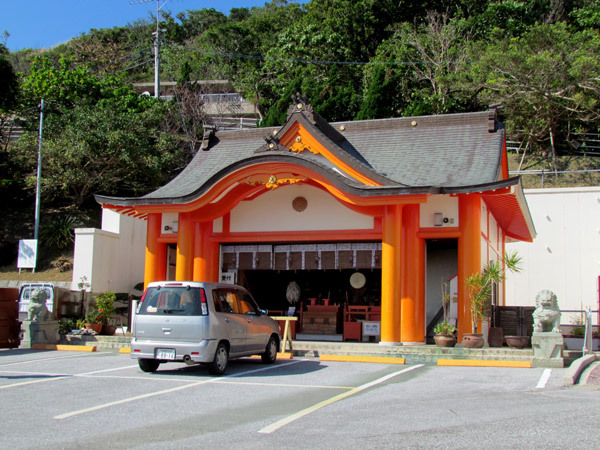 There is the Main Temple Hall that rest higher in elevation, and then there is a smaller temple-like structure that sits at the lower section near the main parking lot. The latter is where you can get your car or motorcycle blessed. The entire ceremony takes about 10-15 minutes. Though it would be of help to have someone fluent in Japanese accompany you, it is not necessary. 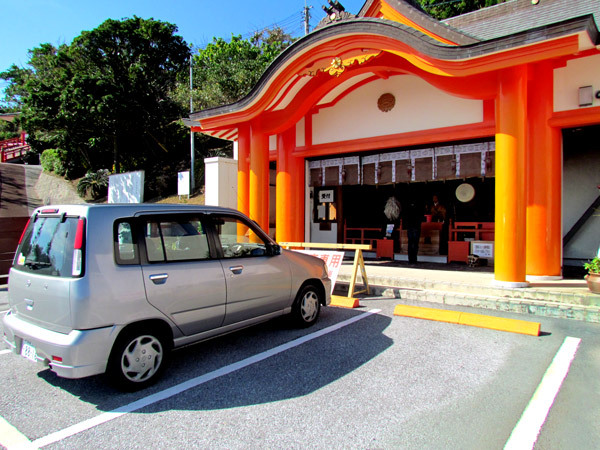 Many foreigners come here to have their automobiles blessed. Here are the steps to guide you should you go through the process. 1. Fee. There is a ceremony fee. At the time of this post the cost was 3000 Yen for a normal size vehicle, 4000 Yen for large vehicles, and 2000 Yen for mopeds/motorcycles. 2. As you just arrive with your car be watchful if there is a ceremony already taking place. If there is, then you may not want to park right up close just yet, so as to not disturb the ceremony in progress. Just park your car at a distance and wait. Note: Sometimes, the local priest will do multiple automobile blessings at a time. 3. If you show up and no one is there, you will see a bell near the front office to the left. 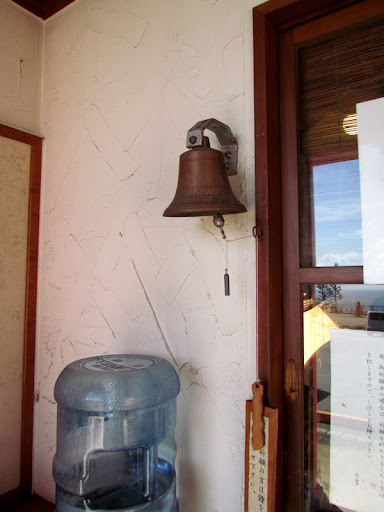 Just ring this bell and someone will attend to you. 4. 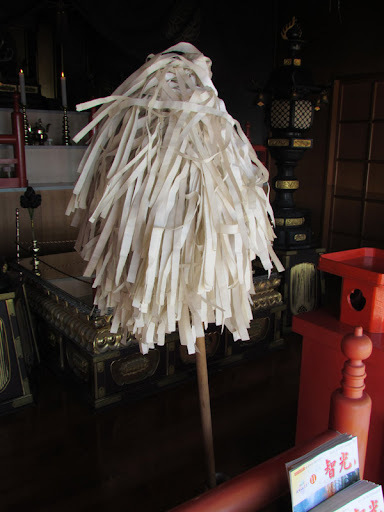 The local priest or attendant will ask you to fill out your name and license plate information on a sheet of paper (if you know how to write your name in Katakana then please do so. This makes it easier for the priest to mention you by name during the ceremony). Go ahead and pay your fee at this time. 5. The priest will then ask you to stand in front of the main alter area. He will ask you for your keys, and then place them in an orange tray. He will also ask you to park you car up close (if not already done so). 6. At this time he will commence with the ceremony. He will gesture that you clasp your hands in prayer form and then he will commence with a set of chants, prayers, and beating of the drums. 7. At some point during the ceremony, here will take a foliage of paper to burn in a fire. This is to symbolize burning away the bad spirits. 8. He will then return to the main prayer area to finish up the ceremony, bless you with a large wand-like item, then return your keys. The entire ceremony takes about 10-15 minutes. Once the ceremony is concluded you will receive three items from the priest. First item is what called an 'Omamori' which is essentially a good luck charm. Specifically, the writing on it says “For safe driving”. 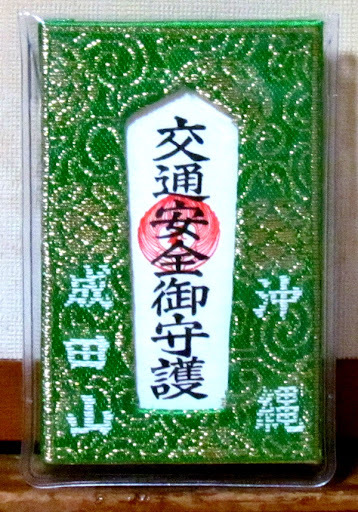 This 'Omamori' is to be placed in your car somewhere. The second item is a sticker that you can place on your vehicle. 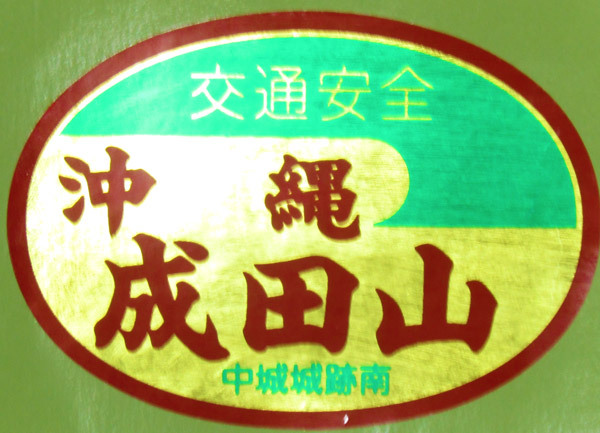 It says Okinawa Naritasan on it and “Drive safe”. 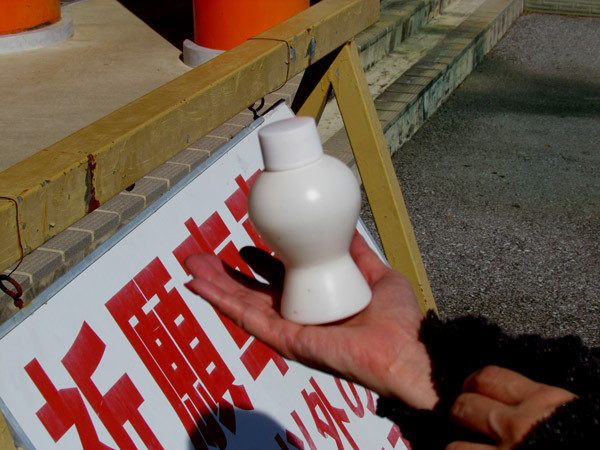 The last item is a bottle of sake that is to be used to bless all your tires. 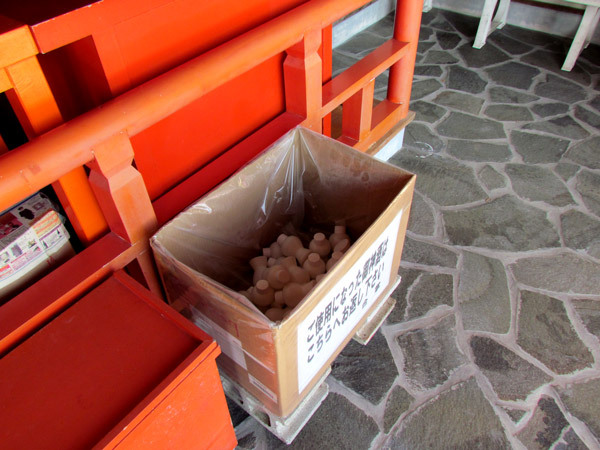 This is something that you yourself can do and once you are done, you can return the empty bottle to the recycle box in front of the main alter. Note 1: If you go with your family, he will kindly ask your family members or friends to join in on the ceremony. This is great! Make this a family event as you share the fruits of Japanese culture. Note 2: Taking photographs. The local priest had mentioned that taking photographs during the ceremony was okay, however, all that was asked was that the photographer do so at a respectable distance off to the side so as to not disturb the ceremony. Use your best judgment. A camera man constantly moving is not advisable. 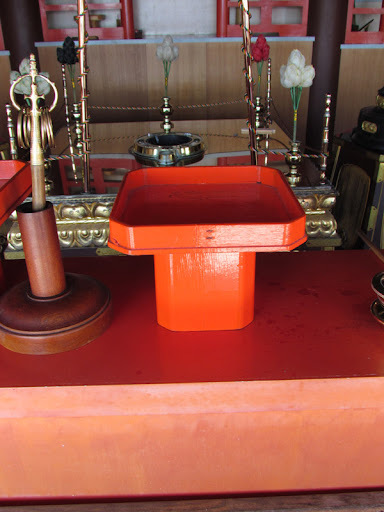 Note 3: The Naritasan Main Temple Hall does daily prayers 3 times a day; 545am, 1015am, and 215pm. Normal Hours of Operation: 9am-5pm daily (both for the automobile blessing and the Main Temple). 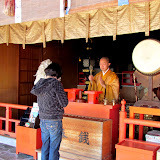 Taking photographs inside the Main Temple is not permissible. You can however take photos from the outside looking in. 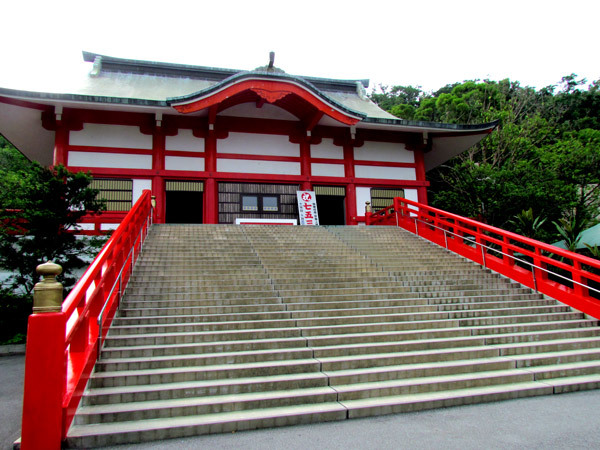 Phone number to the Naritasan Fukusenji Temple: TEL :098-895-2076. Note 4: During the blessing ceremony, you may notice a Buddha in the background. This Buddha is known as Fudo-Myoo. Fudo in Japanese meaning something as immovable. Source 1, Source 2. "Noroga and Remnants of an Old Sugar Factory"
"Joy and A Guinness World Record"
"Modern Day Ruins of an Old 329"